This article describes how our e-commerce software SAAS Food Commerce Cloud runs on SAP Hybris YaaS and how our customer Lieferladen.de benefits for his online groceries business. YaaS stands for Hybris as a Service. SAP Hybris YaaS is a microservices ecosystem helping businesses to rapidly augment and build new, highly flexible solutions. Lieferladen.de runs its innovative business with our software SAAS Food Commerce Cloud. It may sound simple - and in fact it is simple for the end customer. But it needs a lot of business logic to sell fresh groceries online. Especially as fresh food is not kept in stock but is sourced just-in-time from local producers. Typical e-commerce solutions were not ideal for Lieferladen.de. In order to fulfill their needs to sell fresh groceries online, they needed functionality like ordering by weight, handling of deposits and delivery at a desired time. We had the challenge to build an e-commerce system that could cope with all of these groceries specific requirements. That’s why we decided to build our SAAS Food Commerce Cloud based on SAP Hybris YaaS. As there was a set of basic e-commerce functionality like cart, order and check-out, we didn’t have to build our food specific logic from scratch. Instead, we used the extension mechanisms that come with SAP Hybris YaaS’ microservices. Furthermore, as both microservices and shop storefront run in the cloud, there were no real issues about performance, scaling or reliability. How does Lieferladen.de benefit from SAP Hybris YaaS? As a customer of Lieferladen.de you get a responsive storefront to buy fresh food online on any device. You don't need to install an additional app on your mobile device. Thanks to the processes and features of the SAAS Food Commerce Cloud, you get high quality food of regional producers within one day. The regional bakery for example is part of this concept. Baker Stumpp benefits from Lieferladen.de’s e-commerce activities without having to run his own online-shop. The automatic order splitting makes sure that every food supplier is getting consolidated orders for his products. This happens every night. So the baker can adjust his production and simply deliver the ordered products to Lieferladen.de. And all the other local producers do the same. Lieferladen.de is then doing the customer specific packing, prints delivery notes and sends delivery advices. This process repeats every day, Monday to Saturday. When it comes to new suppliers or new delivery locations, Liefeladen.de is able to expand its online grocery business very quickly. And this is even a key benefit of cloud-based architectures like SAP Hybris YaaS. As all e-commerce sites are organized as tenants with separate access rights and data arrays, the deployment of new sites is now very quick and cost-efficient. To sum it up, the combination of our software SAAS Food Commerce Cloud and the underlying infrastructure of SAP Hybris YaaS is not just another technology trend. It is a real benefit for online grocers like Lieferladen.de. Watch the video and see how it works and get a glimpse behind the scenes. The main actress of our video is Kyra. And she wants fresh rolls every day, but can’t go to the bakery. On the other side of the virtual service counter, there is Baker Stumpp. And he wants new customers but doesn’t want to open up an online shop only for his own products. Lieferladen.de has the right solution for both! 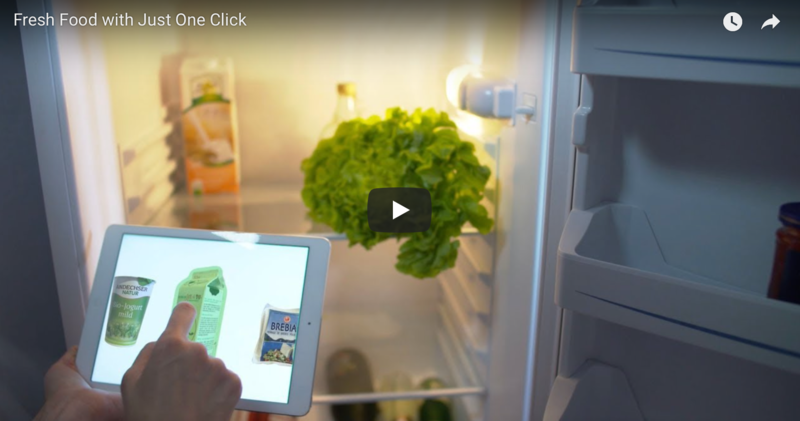 Our SAAS Food Commerce Cloud on SAP Hybris YaaS is the right solution to sell groceries online. 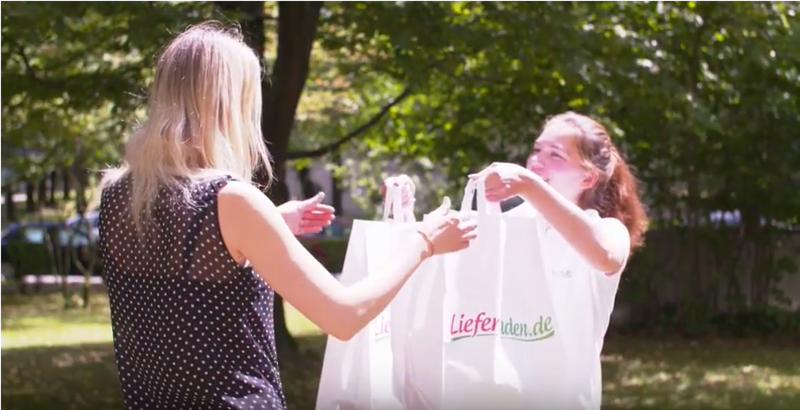 We help grocery stores and small producers like Baker Stumpp to connect with customers through Lieferladen.de in a win-win for all. Are you running a grocery store or are you active in another field of food retailing? Would you like to get further information on our e-commerce solution? Please do not hesitate to get in touch with us and fill in our SAAS contact form! We are more than happy to get back to you as soon as we can. Check out the online-shop of Lieferladen.de in Stuttgart. Read more about Lieferladen.de in our case study! See how a stationary supermarket like NATURGUT benefits.